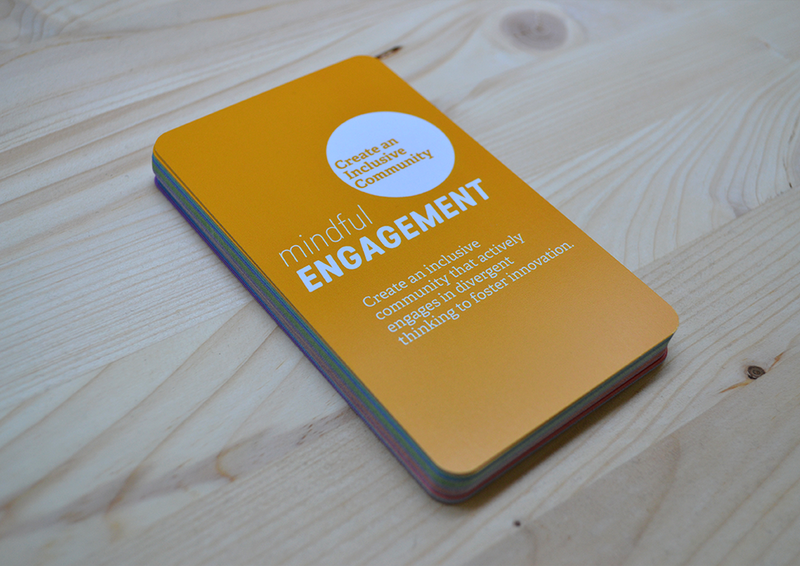 The Mindful Engagement Cards are a tool to support leaders, facilitators, and guides to activate positive community engagement. We have all worked in environments where we could thrive, but have also been in environments where we felt excluded, unheard and unseen. Zapped of our energy because the output of our efforts was not in alignment with our personal and professional purpose. How can we cultivate communities that thrive and nurture belonging? 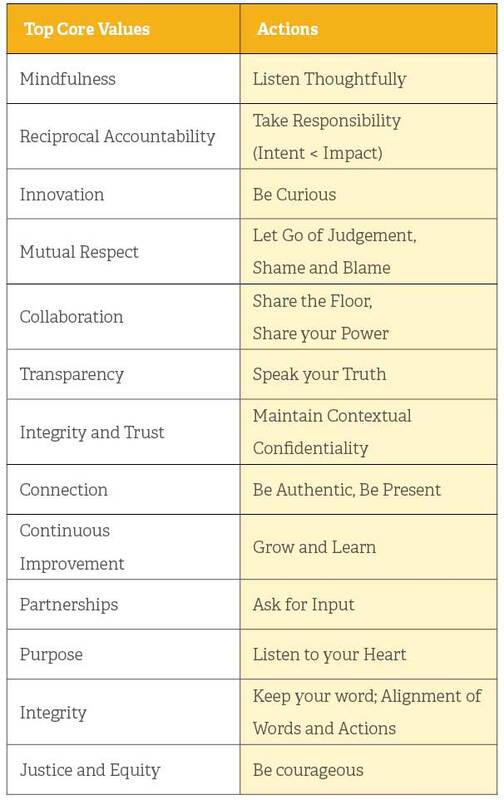 Our team of adult learning experts developed the Mindful Engagement cards to help you create a thriving culture. Are you looking to cultivate a thriving and inclusive community that encourages divergent thinking and self awareness? The Mindful Engagement cards can help you activate community and engagement and put your core values into action by setting a daily intention to practice what you preach. Through repeated practice your community can strengthen self awareness, team engagement, and ultimately bring about a sense of belonging. We invite you to use the cards alone or anytime you are in a group setting to create and hold intentions for your interactions and communication. You can pick a card at random or choose the cards that feel the most relevant.